A follow up from the painting Leslie at 8 months Here is Leslie and her daughter Hazel. 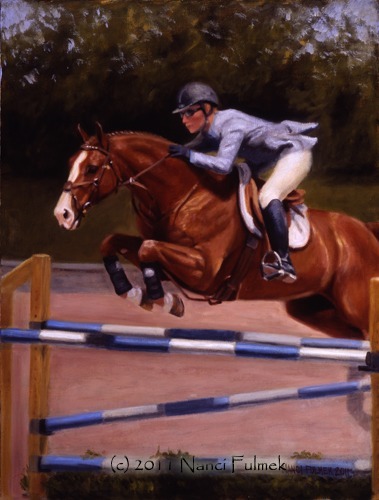 This entire painting was done from life, and we had to change may things as we went along as Hazel was growing. When we started Hazel was 3 months old, when we finished she was 9 months. If you have kids, you know a lot can happen in 6 months! How do you paint a portrait of a baby from life? Easy, one day at a time, and be very creative to find ways to get them to look in the same direction. If you can call that easy. I titled this painting, “Good Morning Sunshine” as that is what my mother would say to us when she went to wake us up in the morning for school. I can still hear her voice sing it. 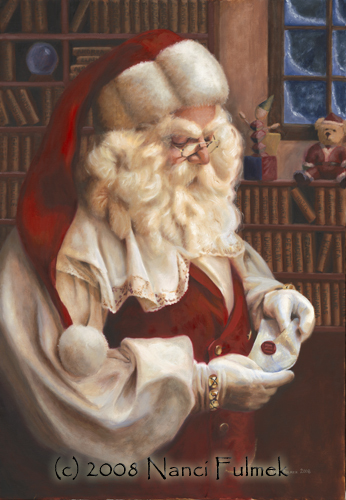 This is the first Santa in my series. 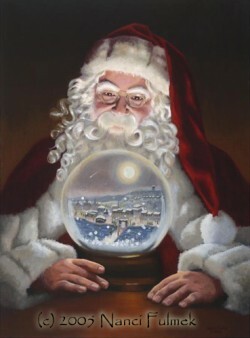 Santa is watching over us all through his magic snow globe. To see if we are naughty or nice. 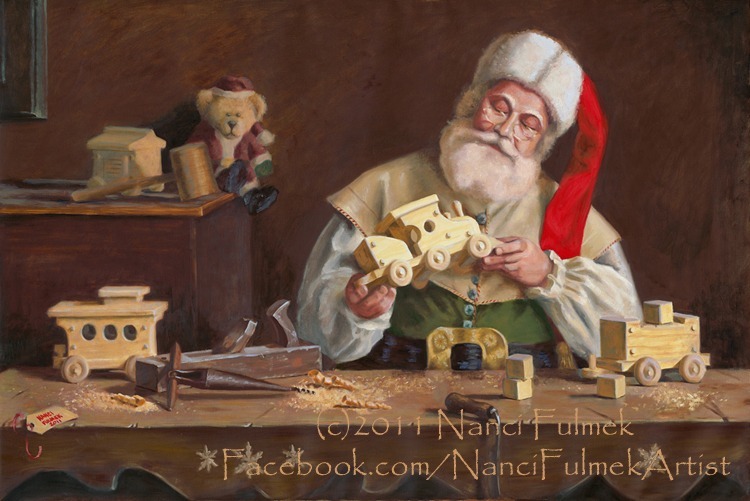 This image was done for “Santa’s” 25th anniversary in Hudson, WI. How exciting is it when the same kids who saw Santa when they were little are now bringing their kids to see the same Santa! Inside the globe is a quiet little town, sleeping away, as a shooting start travels by. 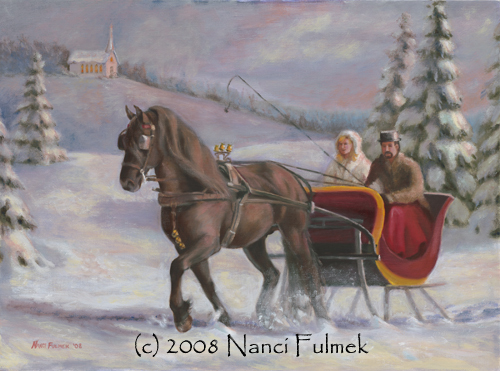 When I was a kid, my mother would tell us to look in the sky for shooting stars on Christmas eve, that was Santa in his sleigh, because he was traveling so fast.